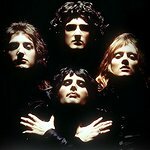 One of the most flamboyant, exuberant, universally-loved rock bands in the world is Queen, which was fronted by showman Freddie Mercury until his untimely death in 1991. But his overpowering legacy, and Queen itself, lives on. 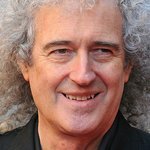 CharityStars.com is offering a guitar signed by all the remaining members of Queen, plus Adam Lambert, who has toured with Queen as lead singer in recent years. The Stratocaster-style electric guitar was played by Brian May on the UK leg of Queen’s 2017 world tour and marks a brilliant tribute to some true legends of rock, who defined a genre. This guitar is an essential for any collector of Queen memorabilia, representing the chance to own a valuable piece of rock history. Items such as these do not frequently come up for sale, so we suggest moving quickly, as the auction ends this week. The guitar is in brilliant condition, and ready to be played, framed, and cherished. To bid on this beautiful guitar, please click here. As always, CharityStars.com will be donating the profits from the sale to charity. On this occasion, the money raised will go towards the Liverpool FC Foundation. This is the official charity of the football club, delivering a range of initiatives that inspire young people from all walks of life around Liverpool to make a positive change happen for themselves and their communities. It makes an amazing difference, working with more than 3000 young people every week.